On most maps, Alaska is an outlier. 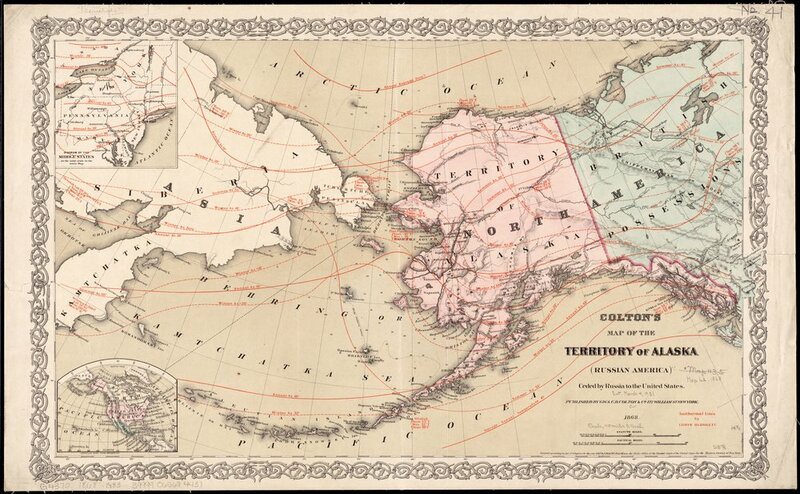 Separated by land and sea from the “lower 48” and skewed by the distortions of the Mercator-derived projections that most popular maps default to, Alaska doesn’t easily fit within the image of the United States. Cartographers seem to be at a loss as to where to put it. On some maps, the state is packed into its own little box and shipped south to warm up next to Hawai’i. On others, it’s not even present at all. 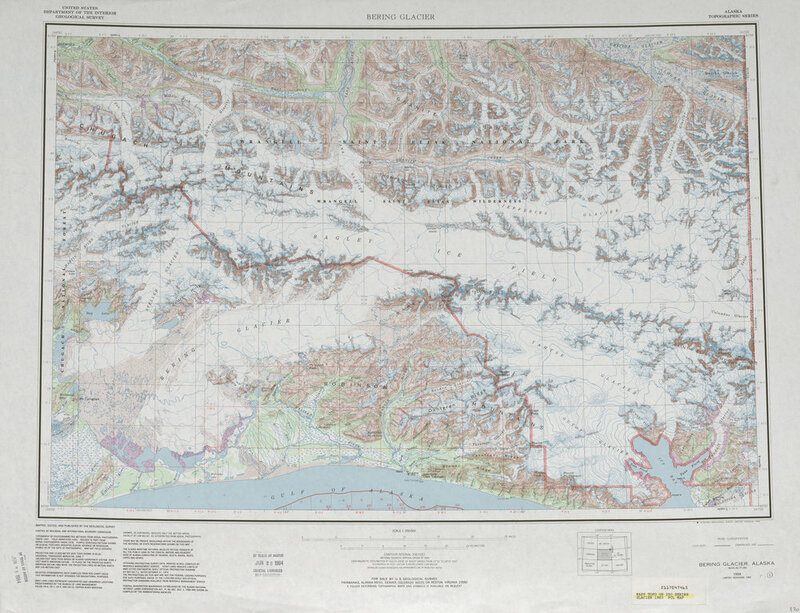 Then, when granted its own map, Alaska receives almost compensatory treatment. 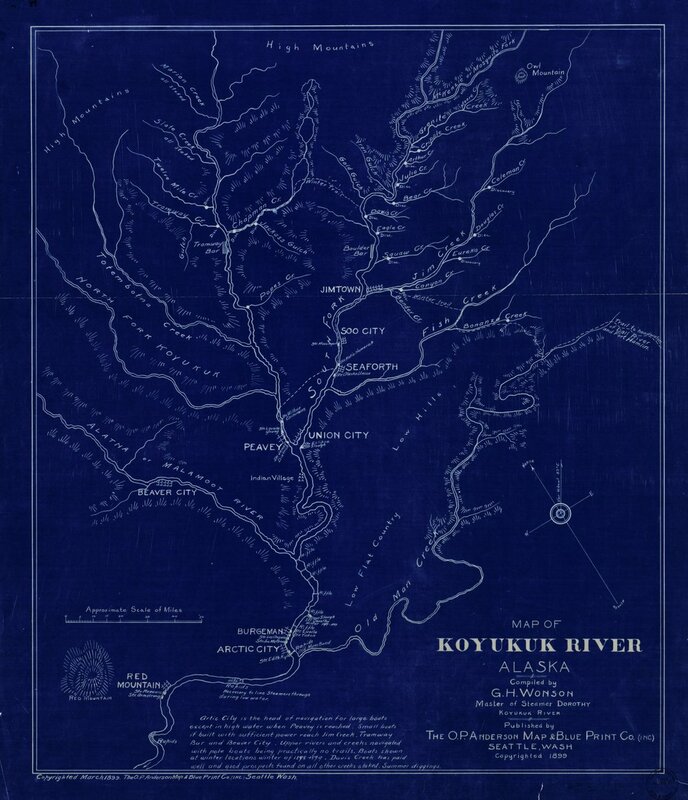 It is painted pictorially as larger than life, an Arctic Treasureland or The Far North Frontier, a land of opportunity for those rugged enough to brave its harsh conditions, native and colonial alike. 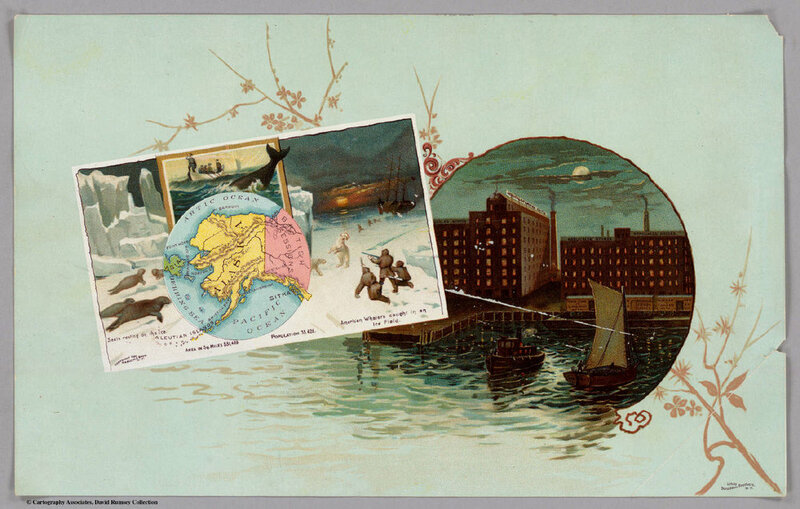 For our twelfth issue, we want to consider Alaska not as an outlying state or unified mythology, but as an irreducible territory that hosts and is hosted by multiplicities of climates, ecologies, histories, languages, and peoples. A body made of many bodies: akutaq, Alaska Territorial Guard, Alaska Native Place Names Project, Aleut internment, ANCSA Corporations, Awa'uq Massacre, Beringia, Bladder Festival, Bureau of Indian Affairs’ boarding school program, Charlie Chaplin’s dinner rolls in The Gold Rush (1925), cheechakos & sourdoughs, the Chilkoot Pass, coastal erosion, Cungagnaq / Peter the Aleut, damp communities, ecosophy & reciprocity, finelines & formlines, fur trapping & promyshlenniki, The Great Death / Sickness, Insomnia (2002), Jewel, kayaks, Keish / Skookum Jim Mason, Klondicitis, Knik wind, Llam Sua, moieties, North to the Future, nuclear testing on Amchitka, Peter Kalifornsky, pingos & ice wedge polygons, “Pleasure Boating in Lituya Bay,” potlatches, Porcupine Caribou Herd, Portage, Qitik / Christmas games, Raven stories, salmon runs, sled dog racing, Seward’s Folly, Tina Fey as Sarah Palin, Trans-Alaska Pipeline, Uksuum Cauyai: The Drums of Winter (1988), Walter Harper & Denali, White Fang (1991) & White Fang 2 (1994), the Yukon River, Yuuyaraq: The Way of the Human Being. Issue 12 will be published in April 2020. To learn how to contribute, read our submissions guidelines.